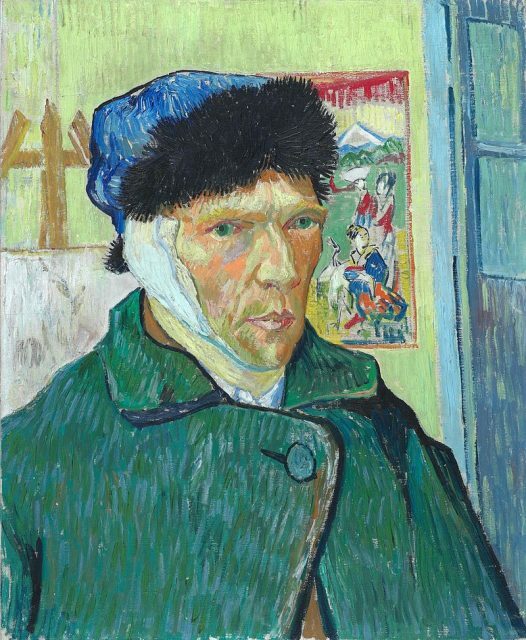 Vincent Van Gogh and the Issue with his Ear - What Really Happened? 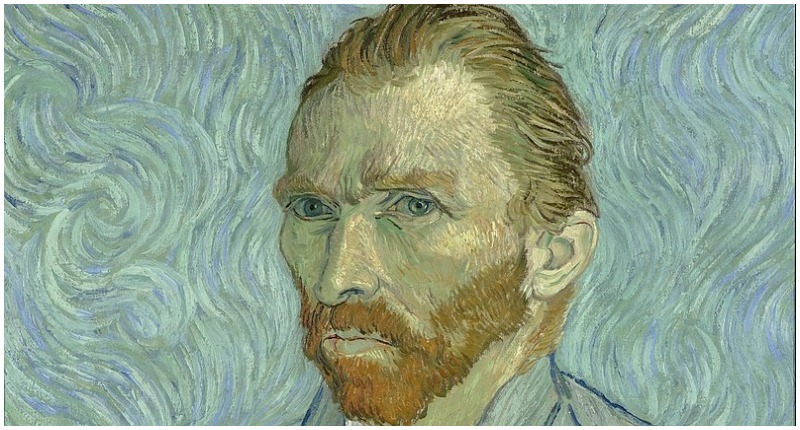 Vincent Van Gogh and the Issue with his Ear – What Really Happened? To many, Vincent Van Gogh is seen as a tormented and depressed artist who suffered from a terrible mental illness. It is reported that he ate the paint he used for his creations and would drink turpentine as a way to commit suicide. One of the most widespread stories about him and his battles though is when he cut off his ear. However, new reports show he may not have actually done this act himself. 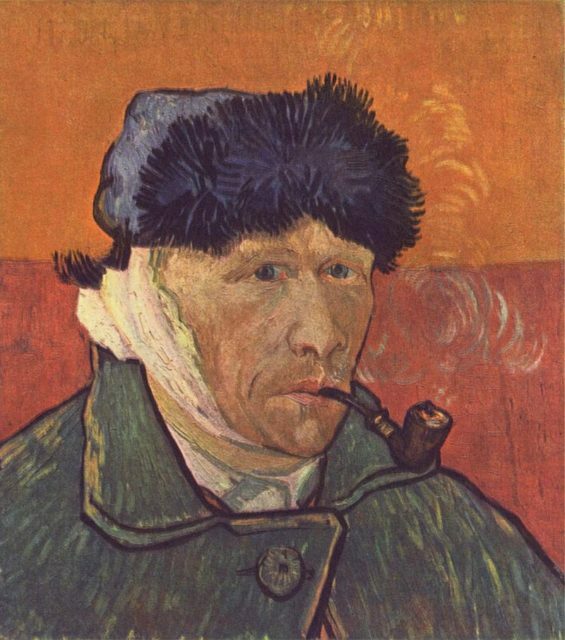 It’s a story that has been passed on throughout art history – on December 23, 1888, Van Gogh, during one of his frenzies, cut off his ear with a razor. This horrific act is documented in many of his paintings and drawings, such as his Self-Portrait with Bandaged Ear and Self-Portrait with Bandaged Ear and Pipe, and hasn’t really been something that has been questioned, until now. Self-portrait with Bandaged Ear, 1889, Courtauld Institute of Art, London. Some art historians now say that there is possible proof that Van Gogh did not cut his ear off, but rather lost it during a row with his friend Paul Gauguin, also a painter. 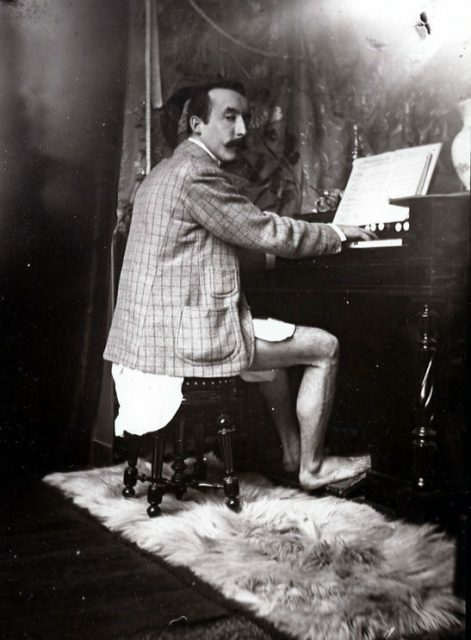 They believe that Gauguin was growing tired of living with Van Gogh and was going to leave his famous Yellow House in Arles, France so he could venture off to do his own excursions. On his way to do so, Van Gogh and Gauguin had a huge fight which resulted in Gauguin allegedly drawing a sword and cutting off Van Gogh’s ear. It’s not entirely known why Gauguin had a sword or felt the need to use it, but it’s widely believed it could have been part of his fencing equipment as he was a passionate fencer. While there is no hard evidence of this, many historians point to Van Gogh’s letters and drawings as proof. In one of his many letters to his brother Theo, Van Gogh writes about how Gauguin lost his fencing blade and gloves while at the house. Letter 716: Vincent van Gogh and Paul Gauguin to Emile Bernard. Arles, Thursday 1st or Friday 2nd November, 1888. However, this new theory isn’t without protests. Many other art historians disagree with this statement, pointing out there really being no concrete proof of these claims. While they say it might have happened, the truth may never truly be known. This may have meant nothing, or perhaps was an ode to their pact to never let the truth about his severed ear be known. Many believe it was Van Gogh’s way of trying to save his friendship with Gauguin and prevent one of his only friends from being sent away to jail for this horrendous deed. 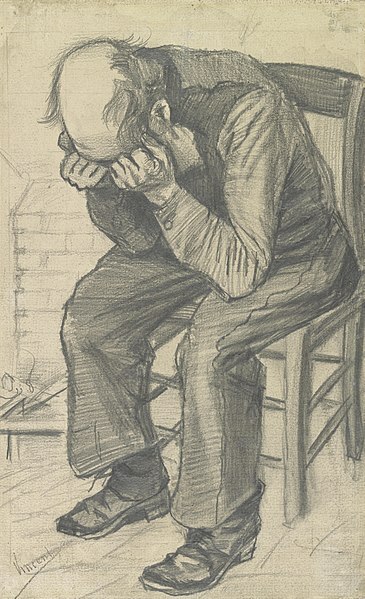 Worn Out by Vincent van Gogh. However, it was never to be. As Gauguin left Van Gogh to pursue other adventures, Van Gogh fell into an even deeper depression. Van Gogh eventually took his ear that he had saved, wrapped it in a clean cloth, and later quietly handed it over to a young maid working at a brothel as a sign of affection for her. The maid was quite horrified to find what was inside and alerted the authorities, causing Van Gogh to be recommitted back to an asylum. He was soon taken away was kept under the close eye of medical professionals. However, it was all too much for this lonely artist. 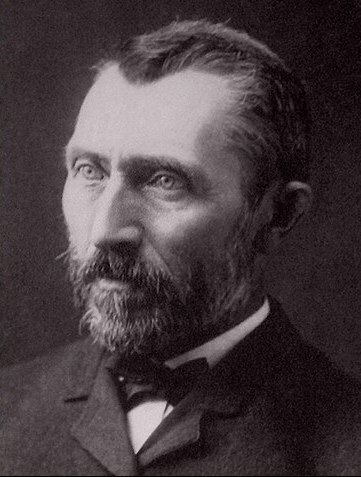 On July 29, 1890, Van Gogh committed suicide by shooting himself, taking the secrets of this mystery with him forever.